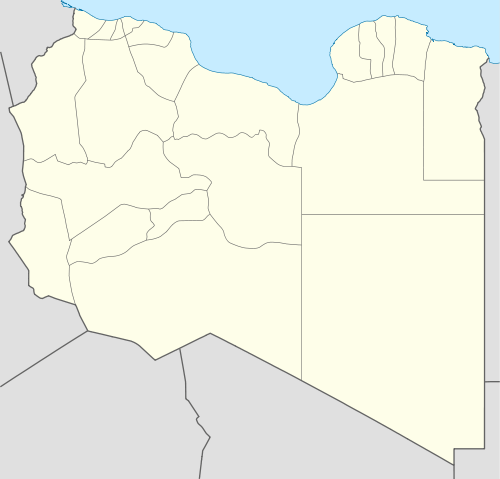 Derna /ˈdɜːrnə/ (Arabic: درنة‎‎ Darnah) is a port city in eastern Libya. It has a population of 100,000–150,000. It was the seat of one of the wealthiest provinces in the Barbary States, and remains the capital of the Derna District, with a much smaller area. 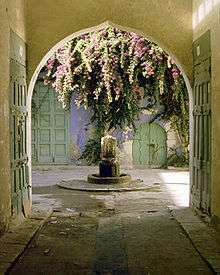 Derna has a unique environment among Libyan cities, as it lies between green mountains, the Mediterranean Sea, and the desert. The city is also home to people of mixed origins. Parts of the city were taken over by Islamic State of Iraq and the Levant (ISIL) militants in October 2014. In June 2015 Shura Council of Mujahideen in Derna defeated ISIL and took control over the town. On 16 October 1911 Italian troops occupied Derna during the Italo-Turkish War. On 30 January 1941, during the Second World War, Australian troops captured Derna from the Italians in the North African Campaign. On 6 April 1941, German forces retook the city from the British, and on 15 November 1942, British forces recaptured it. Following mass protests on 18 February 2011, the city came under the control of the National Transitional Council, breaking from the Libyan government. The city was never retaken before Gaddafi's ouster from Tripoli and the establishment of a new government. In October 2014, local militants affiliated with the Islamic Youth Shura Council publicly pledged allegiance to Abu Bakr al-Baghdadi, the leader of the Islamic State of Iraq and the Levant (ISIL). In November 2014, al-Baghdadi released an audio-recording accepting the pledge of allegiance and announced the expansion of his group. Old Medina, Dark Souq, Sahhaba Graveyard, Attiq Mosque (42 Domes), Souq al Kharraza, Souq al Farda and Khidra, Piazza Hamra, Piazza Derna, Maydan Al Sahhaba, Jewish Synagogue, Byzantine Church, Catholic Church, Ras Tin Beach, Piazza Attair, Ibrahim Istaa Omar, Derna Valley, Derna Waterfall, Finar Avenue, Zangat Al Bahr (Bahr Street), Omar Faiek Shennib Street, Zangat Al Hmar (Hmar Street). Derna is home to four football clubs: Darnis, Al Afriqi, Al Shallal and Nusoor Martouba. Darnis is the most successful and popular club in the city. The biggest rivals in the city are Darnis and Al Afriqi which have a long and great history of classic rivalry. 1 2 ". :Middle East Online:::.". Retrieved 4 July 2015. 1 2 3 Herbermann, Charles, ed. (1913). "Darnis". Catholic Encyclopedia. New York: Robert Appleton Company. ↑ "Derna". Retrieved 4 July 2015. ↑ Destination: Martyrdom Newsweek, April 28, 2008. ↑ "Gaddafi defiant as state teeters". Retrieved 4 July 2015. ↑ "How a Libyan city joined the Islamic State group". The Big Story. Retrieved 25 March 2015. ↑ "The Islamic State's Archipelago of Provinces". Washington Institute for Near East Policy. 14 November 2014. Retrieved 17 November 2014. ↑ "Klimatafel von Derna / Libyen" (PDF). Baseline climate means (1961-1990) from stations all over the world (in German). Deutscher Wetterdienst. Retrieved 27 March 2016.